The Double Waterfalls of Gozalandia, both an Upper and Lower Waterfall, make for one of the best waterfall trips in Puerto Rico. 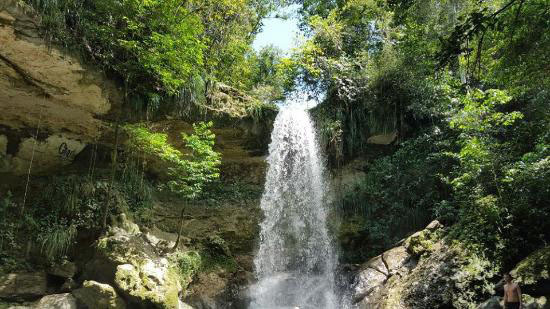 About 45 minutes east of Rincón, just north of San Sebastián, are these hidden waterfalls. 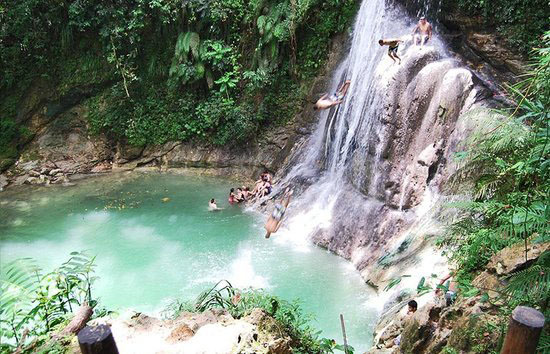 Though difficult to find, the tiered swimming holes are worth the effort it takes to get there. 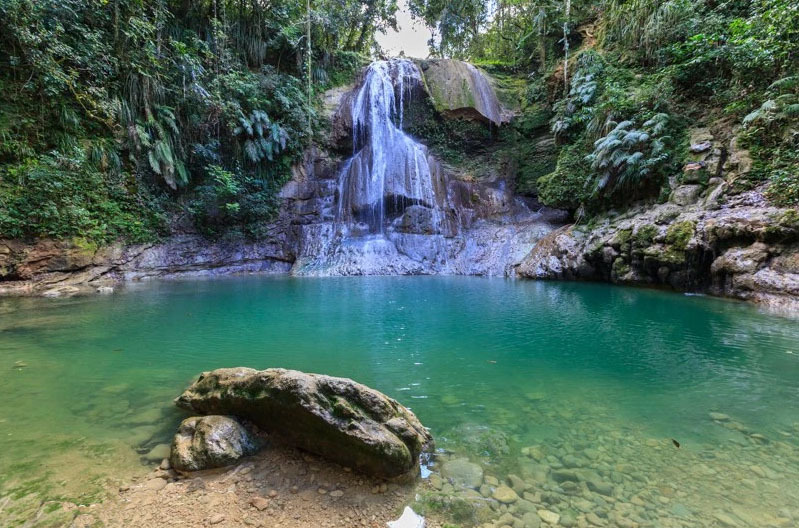 The first of the three is generally visited by locals, but a five-minute hike upstream will bring you to a second cascade, where the waters are deep enough for diving. A crude rope swing entices adventurers to mimic Tarzan’s antics before plunging into the cool spring. Follow the trail about ½ mi (1 km) farther to reach yet a third oasis. Definitely worth a visit, wear sturdy shoes for hiking and a bathing suit for swimming!